As you know, I also work in my own screenprinting atelier and we have recently expanded our activities. We do screen print but only if the order is big. 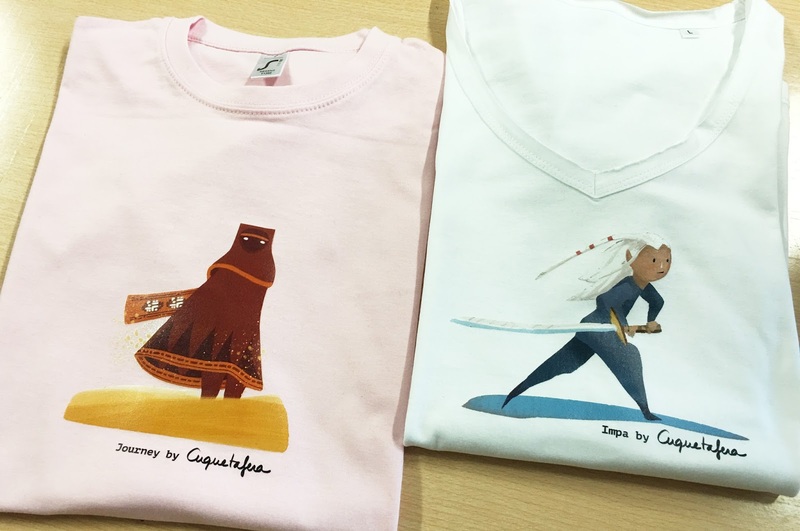 Due to our localization, we just get big orders about 4 or 5 times a year and all other orders are for small groups and we couldn’t compete with the prices of other ateliers, so we thought the best thing was to start working with other printing techniques. I’ve begun to print some of my illustrations as a test, here you have some pictures of the process and the result.